i.e. 88.5% of the time there are 0 Transactions in Distribution. 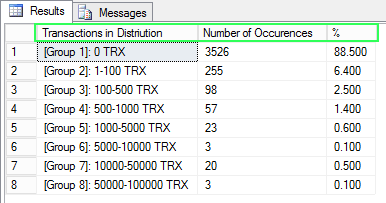 Note that this is based on a 5-min logging interval for the Distribution database compared to the Subscriber database.